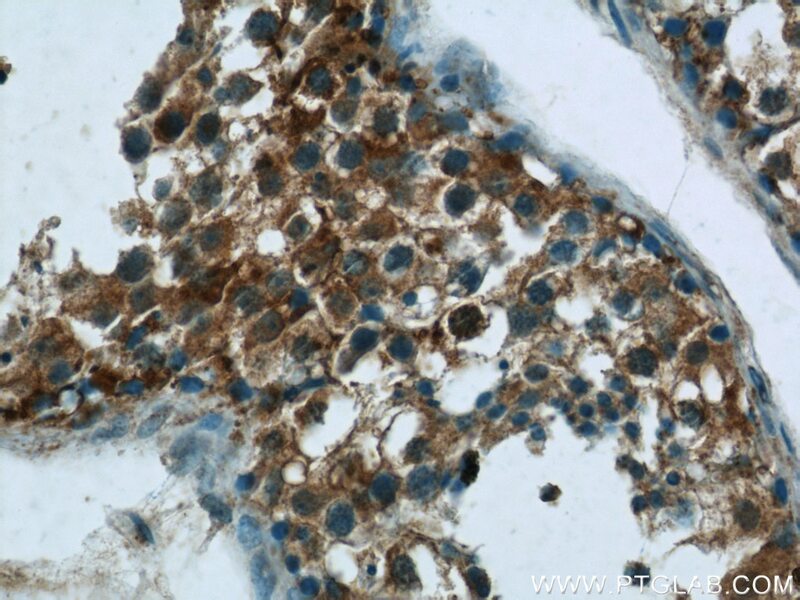 IP Result of anti-LRRC18 (IP:24571-1-AP, 3ug; Detection:24571-1-AP 1:500) with mouse testis tissue lysate 4000ug. 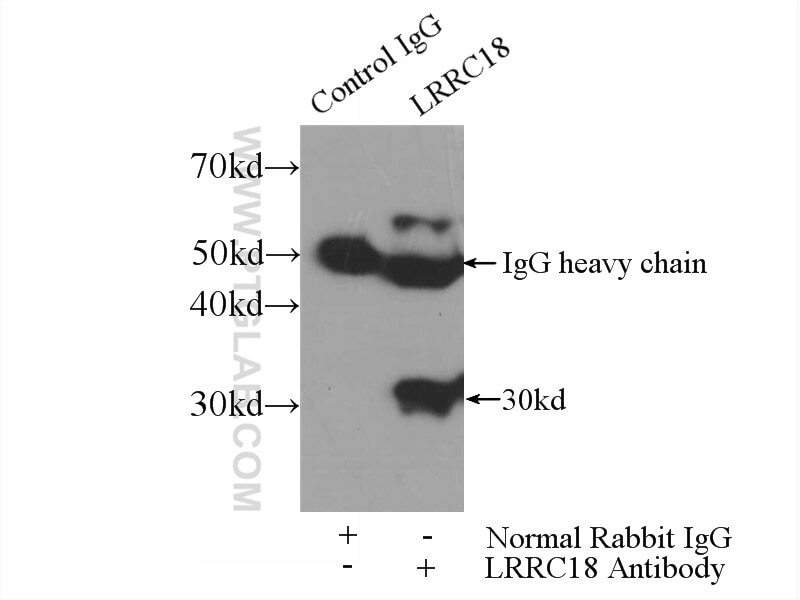 Leucine rich repeat containing protein 18 ( LRRC18 ) encodes a 261 amino-acids protein (29.6 kDa), which contains 7 leucine rich repeat and belongs to LRR superfamily. The function of protein is still non-known, but it may be involved in the regulation of spermatogenesis and sperm maturation. 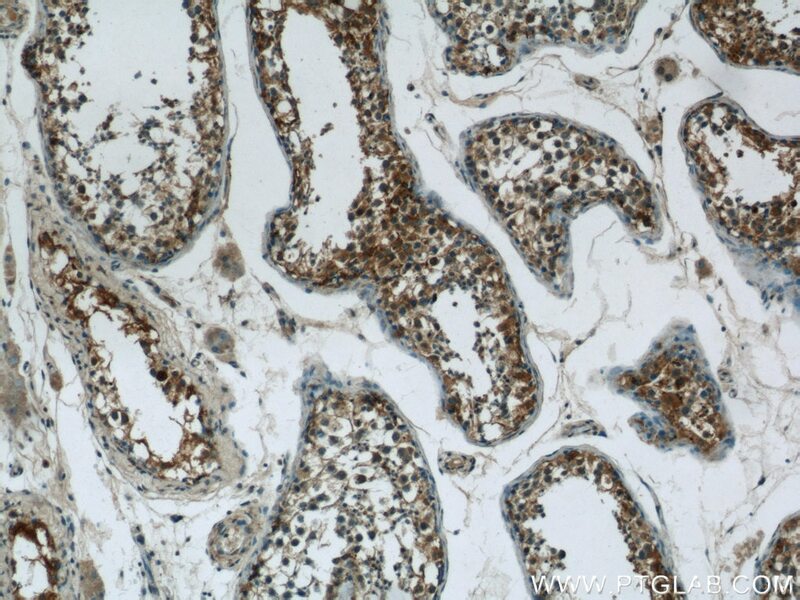 The protein localizes in cytoplasm and express in some male reproduction tissues.